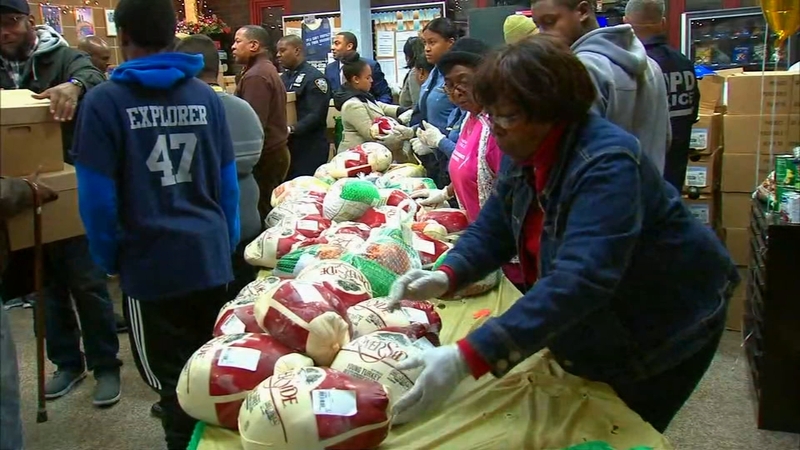 WAKEFIELD, Bronx (WABC) -- The heart of a community was on display in The Bronx on Wednesday as neighbors helped each other prepare for Thanksgiving. Officers from the 47th precinct in the Wakefield section, along with Councilman Andy King, helped distribute hundreds of turkeys and other supplies to families that are struggling to make ends meet this holiday season. This was the fourth annual Thankgiving meal giveaway at the precinct. The commanding officer tells Eyewitness News that the NYPD not only cares about the safety of New Yorkers, but also their wellbeing.